CLOSEOUTS. 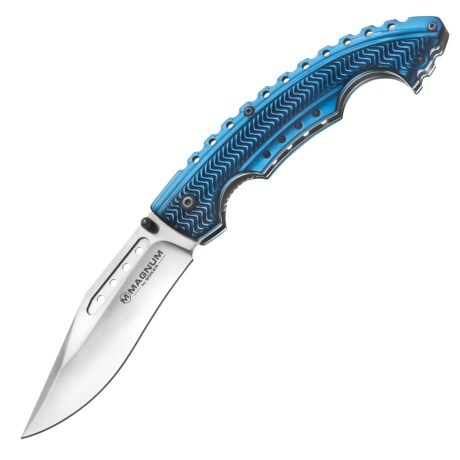 For ace looks with cutting performance to match, you canand#39;t go wrong with this Magnum by Boker Blue Bowie Tactical knife! Available Colors: BLUE.